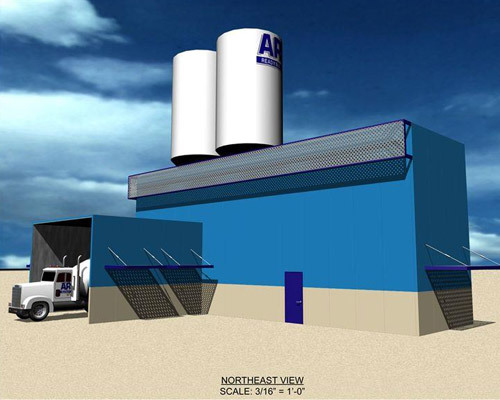 Acoustical Performance Independently Tested & Rated. Rugged Construction For Outdoor Environments. 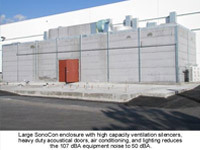 SonoCon Class One, Type E exterior noise control systems are fabricated of acoustical panels which provide substantial sound absorption and transmission loss performance. 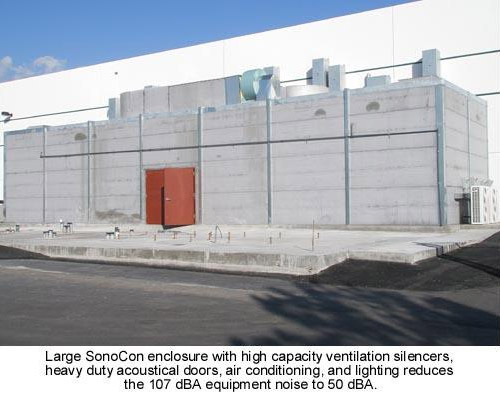 With high transmission loss and sound absorption properties, the SonoCon sound barriers acoustically isolate equipment and processes from the community and in-plant personnel. 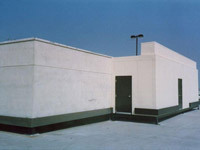 Energy within the enclosure is absorbed preventing both reverberant buildup and unwanted reflections which might direct or broadcast the high noise levels into nearby areas. 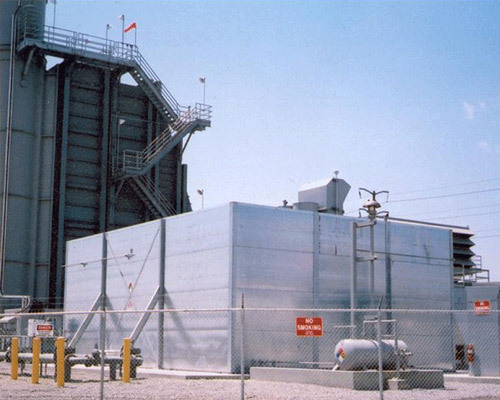 Constructed of galvanized steel, the acoustical barriers are erected of internally reinforced, tongue and groove panels into a structural framework. SonoCon panels can easily accommodate 15'-0" spans and assemblies can be erected to virtually any height. Engineered to withstand typical outdoor environments, SonoCon Soundwall systems can accommodate wind speeds to 95 MPH and seismic zone 4 loads. 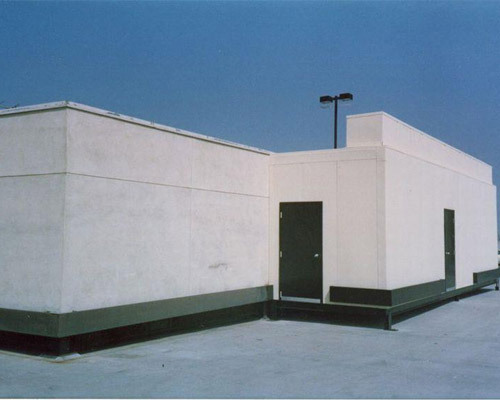 All SonoCon systems are engineered to meet the structural requirements specified by local building codes. Shipped as prefabricated components, SonoCon sound walls and enclosures are quickly installed integrating the acoustical panels with the structural framing. The SonoCon acoustical barrier shall be installed on a foundation or other supporting structure adequate to accommodate the structural loads. 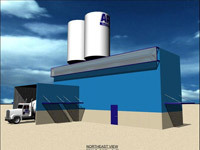 The acoustical assembly shall be constructed of SonoCon Class 1-E acoustically rated panels. Panels are to be 4-1/4" thick fabricated of G90 galvanized steel. Panels used as sound barriers shall be constructed of tongue and groove acoustical panels with the groove facing downwards. The panels shall be fabricated with 18 gage steel exterior face sheets. 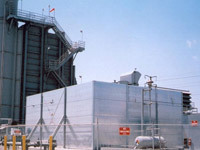 Panels used for noise absorption only shall be fabricated with 22 gage exterior backing sheets. 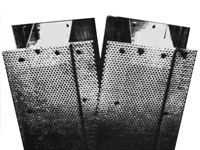 All panels will be constructed with 20 gage perforated steel sheet feeing the noise source. 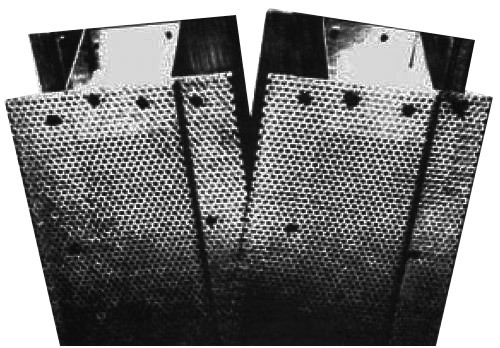 The perforated sheet shall consist of 3/32" diameter holes on 3/16" staggered centers. The sound absorbing core shall be non-combustible, inorganic, and inert. It shall be vermin proof and mildew resistant. The panels shall be internally reinforced with 16 gage member designed to safely withstand the lateral loads imposed on the spans shown on the drawing in accordance with the specified building code. Stiffener spans should not exceed 24". Perimeter and internal reinforcing steel shall be welded to the solid face sheet to form a rugged, unitized acoustic component. Weld centers should not exceed 3". The acoustical fill shall be packed under compression without voids so as to secure the acoustic core even under severe vibration. Attachment to the structural framing or existing wall surfaces shall be adequate to support the specified live and dead loads. The acoustical core shall be protected with an acoustically permeable, UV resistant, non-hygroscopic membrane placed between the acoustical fill and perforated sheet. Mylar, Tedlar or similar films are not acceptable due to weather degradation.